Back-to-School time is almost here! For us, it's the beginning of kindergarten... and it's happening in just a couple weeks. We have shopped for our supply list, know what to do for car line pick-up, and my mind has wandered now to school lunches! 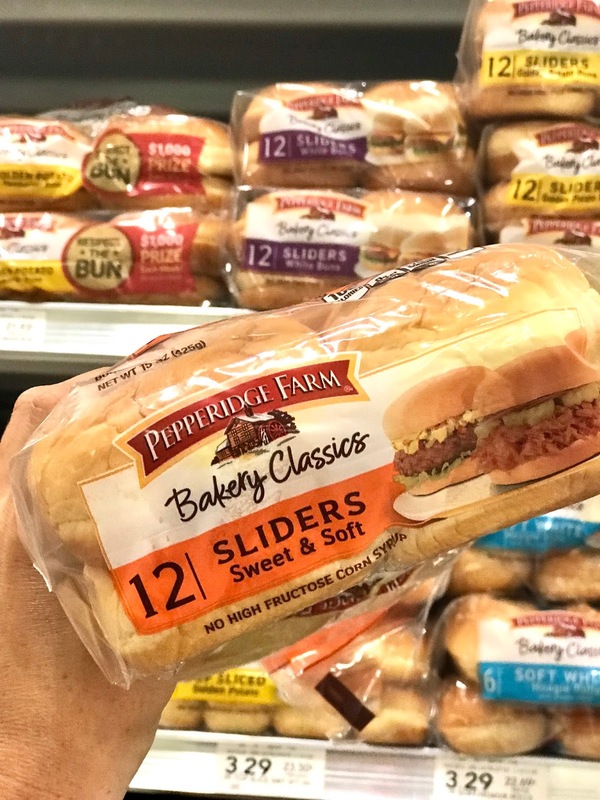 Pepperidge Farm Bakery Classics Slider Buns make packing a school lunch super easy. 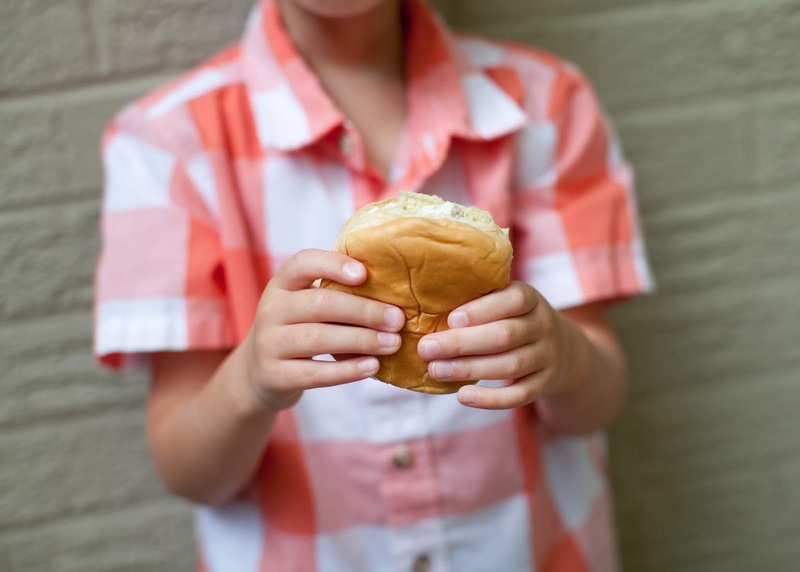 They are perfectly-sized for a lunch box - and for your little one's hands! Parker helped me pick out the "Sweet & Soft" variety at our local grocery store (he's automatically sold on anything labeled "sweet" but there were several other flavor varieties). You can tell the buns are made with premium ingredients and were orchestrated with a baker's touch - they're simply delicious! I decided to put together a practice school lunch for Parker since dining at school this upcoming year is going to be a new experience for him (coupled with a new teacher, a new grade and a new school), and it's always a good idea to have a dress rehearsal. Parker adores chicken salad, so I made that the filling for the Pepperidge Farm Bakery Classics Slider Buns. Here's my "no recipe" recipe for chicken salad: one rotisserie chicken (chopped or shredded), plus something sweet, something crunchy, and something herby. Mix with a dollop of mayonnaise and a scoop of plain greek yogurt (plus salt, pepper, and a squeeze of lemon if you have it). Sometimes I'll add curry powder if I'm feeling crazy! This chicken salad has green grapes for the something sweet, pecans for the crunch (Parker's favorite), and green onion we had on hand. Other times I'll do raisins or cranberries for the sweet component, pistachio, slivered almonds or celery for the crunch, and chives or dill from the garden for the herb. I need to grab some of these for Jacob's sandwiches because he is OVER regular sliced bread. Dude will not touch a sandwich these days. Oh, dear!! Try these; they really are the perfect size! 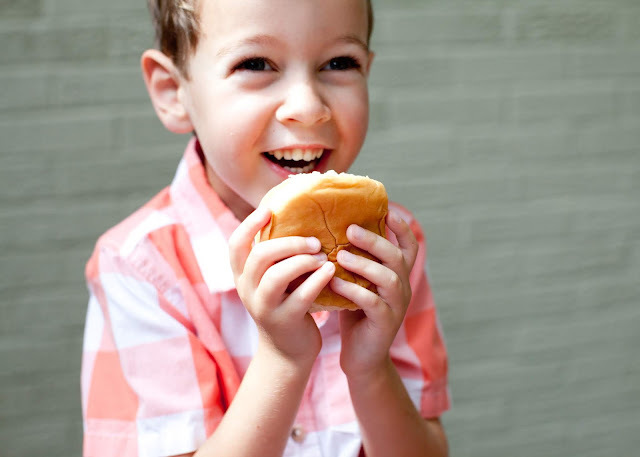 My kids love sliders on these buns as well. This is exactly the type of lunch my kiddos like as well.